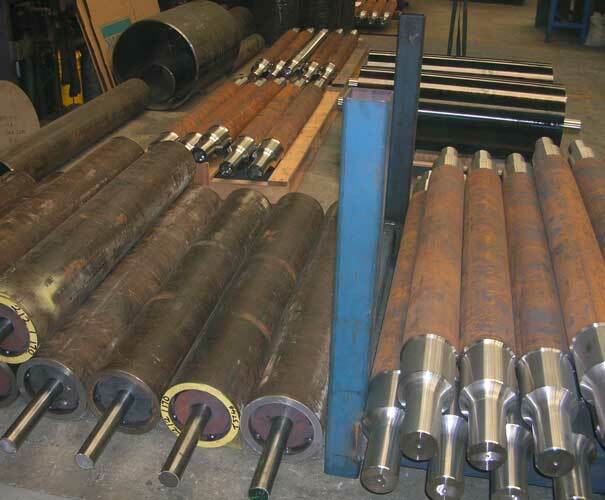 Conveyor Pulley Shafting is a vital part of the total pulley application. Standard shafting is K 1045, which represents the higher carbon range in the carbon group. 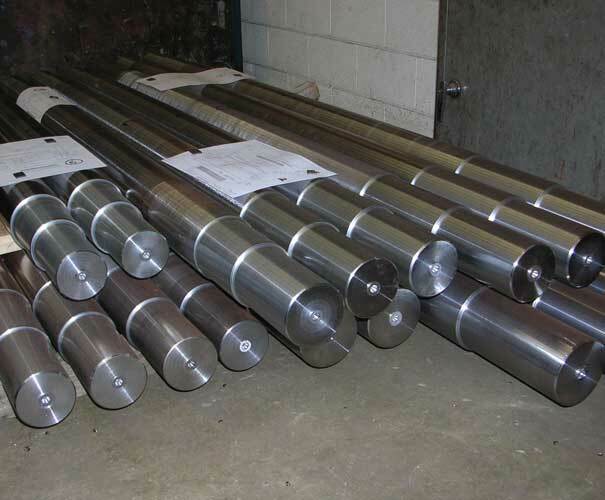 Excluding alloy steel, higher carbon content in K 1045 results in one of the strongest steels in the carbon range and machines to a smooth finish. Other alloys, including 4140 are available upon request. 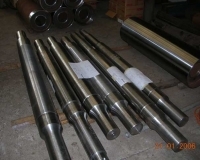 Shafting can be keyed or machined to meet any specification. Consult CONVEYOR PULLEYS RUBBERFIX PTY LTD for shaft alloy diameter selection. The major cause of pulley failure is excessive shaft deflection. CONVEYOR PULLEYS RUBBERFIX PTY LTD can perform Stress Analysis and finite Element Analysis to maximise your pulley performance. Save time and money using CONVEYOR PULLEYS RUBBERFIX PTY LTD installed shafts. 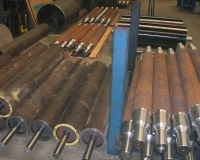 We can drill and tap into the shaft, cut keyways, journal the ends and mill flats.Shafts are designed for an infinite life taking into account, bending and torsion as applicable. All shaft calculations neglect any strengthening effect from the pulley end discs.